Is it time to close your GST/HST account? If think the answer is yes, keep in mind that you may close your GST/HST account with the Canada Revenue Agency for the following reasons. 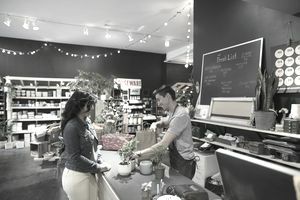 If, for instance, your small business's revenue drops below the $30,000 annual threshold which means that you have to charge GST/HST, you can close your GST/HST account and reclaim your small supplier status according to the Canada Revenue Agency (CRA). However, you must have been a GST/HST registrant for at least one full year before they will close your account. To close your GST/HST account, you will need to complete Form RC145, Request to Close Business Number Accounts (BN) and send it to your tax services office or call the Business Window at 1-800-959-5525. As part of closing the account make sure you file any outstanding GST/HST returns for the period up to the day the account is closed (and pay any remittances due). If you are closing the business, you are assumed to be disposing of the assets of the business and have collected GST/HST on the sale of the assets. You will need to determine the fair market value of the assets and report this on the final GST/HST return. What Are Other Reasons for Closing a GST/HST Account? you are filing for bankruptcy. You have to send copies of the court issued bankruptcy documents to your tax services office. the business is a partnership, and one partner leaves the business or passes away. Depending on the circumstances the existing business number may be reused or a new one required. What Happens If I Don't Close It? If you don't close the account the Canada Revenue Agency will assume that you are still in business and will expect GST/HST returns to be filed. If your business has closed or is inactive, but you intend to reactivate it at some time in the future, you can file nil returns (no GST/HST collected or remitted) until your business starts up again. If you continue to file nil returns for several years, the CRA may eventually contact you to ask if you want to close the account. If you stop filing GST/HST returns and don't close the account, you will receive notification by mail from the CRA that you are required to file for the missing date(s). If you do not respond (either deliberately or innocently because your business has changed addresses), you will likely receive a phone call and/or a visit from a CRA officer to your place of business. If your GST/HST account is still open and after investigation, the CRA determines that your business is still active you can be criminally prosecuted under the Excise Tax Act for failing to file GST/HST returns. If convicted, you could be liable for penalties and interest.